When it comes to self care, it’s only effective if it works for YOU. Just because someone you follow on Instagram starts their day with yoga and lemon water, doesn’t mean that’s a routine that will serve you! Just because someone you look up to in business loves an ice bath and chanting positive affirmations, doesn’t mean that following their routine will take your career to the next level! These people are excited and passionate about their routines and diets because they’ve found what works for them - and you can do the same! The first step to a beautiful self care practice that supports and lights you up is really knowing yourself. When you start with this foundation, you’re able to be more flexible and tune into your needs on a day-to-day basis, instead of sticking to a rigid plan. As women, we’re cyclical beings and many of us find that self care needs to vary week-to-week to be truly supportive. 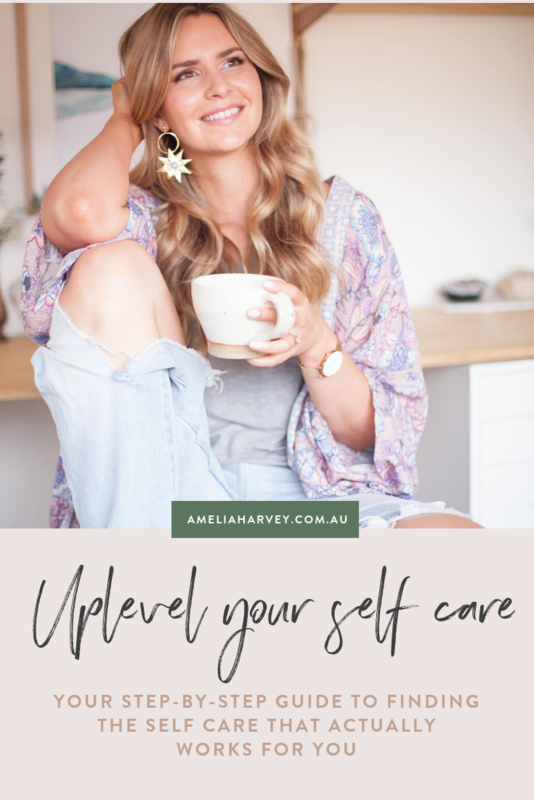 Self care that works well for us around ovulation, is likely to leave us feeling run down if we try and keep it going pre-menstrually or during our period (for a video run down on getting to know your cycle and self care, click here!). Maintaining flexibility around your self care is what makes it sustainable, no matter what life throws at you. With this approach, if things don’t go to plan, you are still in tune with ways to support yourself rather than throwing in the towel because you couldn’t do everything perfectly. Feeling too low energy for a high intensity workout? Switch it up for a nurturing beach walk. Had to miss your morning yoga class because your little one was sick? Find your zen later in the day with a cuppa and your favourite magazine. Don’t have time to cook nourishing meals from scratch with a big deadline looming? Order some pre-prepared organic meals instead of defaulting to toast for dinner. Spent half-an-hour scrolling Instagram instead of starting your day with a meditation? Pop your phone away and focus on having a mindful shower and being as present as possible as you get ready for your day. 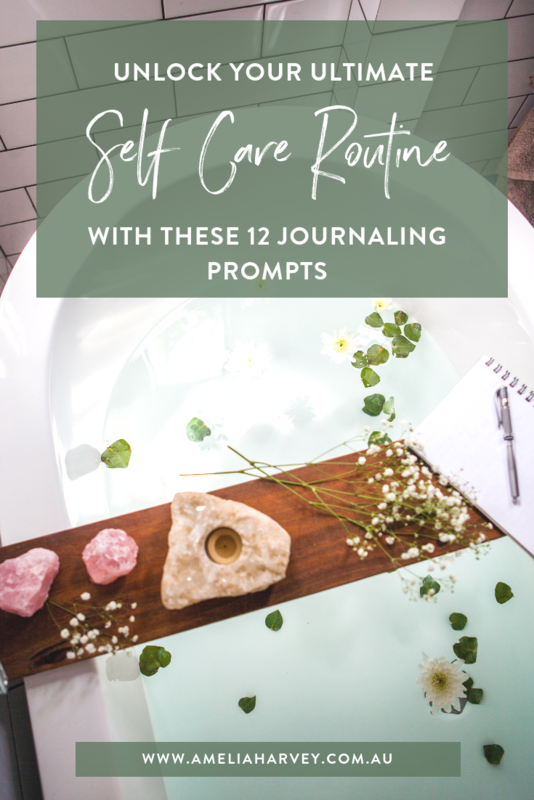 Here are 12 journaling prompts to help you connect to YOU and your ideal self care practices - try writing on these prompts once a week for at least four weeks (aim for more if you can and you’ll see some interesting patterns emerging!) to gain a holistic insight into how you can best support yourself. A bonus prompt to ask yourself several times a day (you can answer this one mentally while you’re on the go) is ‘how can I best care for myself in this moment?’. Write it on a sticky note or set a reminder on your phone to pop up with this question to keep it front of mind. This is especially useful if you tend to beat yourself up for not sticking to a routine or plan and will help you step into a more compassionate and flexible approach to caring for yourself. Could your besties use a little self care boost? Share this post with them too!